Burford Priory was a monastery until recently, and there is still evidence – even a sense – of that community in the gardens. It lies at the heart of the bustling Cotswolds town of Burford, only a few steps from the high street. Tourist coaches park outside the gates, yet within its walls all seems serene. In 2008, the Priory was bought by TV executive Elisabeth Murdoch and her then husband, public relations guru Matthew Freud. The pair, who are now divorced, spent five years restoring it as a family home. 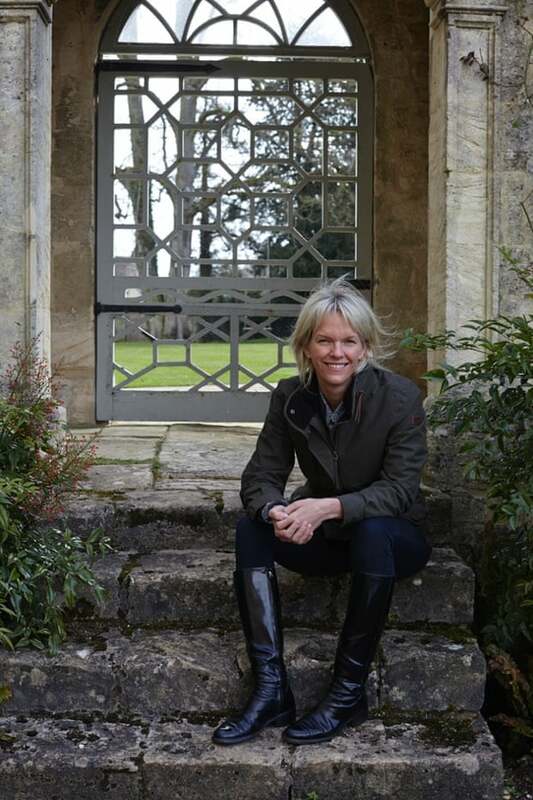 Designer Mary Keen has made several changes of layout, including the pool area and main terrace, while everyday work in the garden has been overseen by the head gardener, Marcus Wilden. Wilden knows Burford Priory well: he grew up here, and his father Brian worked at Burford for 30 years. He was very sympathetic, therefore, to Murdoch’s vision: she wanted to retain the spirit of the place, an aspiration fuelled by childhood memories of her late grandmother’s garden at Cruden Farm, near Melbourne, Australia. You might expect such a high-profile couple to close off their house from public view, yet one of the first things they did was tear down a 5.5m yew hedge that surrounded the lawn at the front of the house, so the morning sun could illuminate the mullioned windows and honey-coloured Cotswolds stone. Yet there is an intimate quality about the gardens. The main garden to the south of the house, like the adjoining walled vegetable garden, is sheltered and seems to exploit every ray of sunshine, which gives the impression that it is always summer. The terrace in front of the house has been widened by Keen, who has used a restrained palette of plants with grey and glaucous foliage, such as Euphorbia characias subsp. wulfenii and Stachys byzantina. The garden slopes away from the house, and there are several changes of level between the lawn and the swimming-pool terrace, also designed by Keen. This is screened by a massive yew hedge that straddles the area between the pool terrace and the terrace below, neatly solving the problem of how to accommodate the change of level without yet more steps or slopes. On the main lawn, a circular labyrinth cut into the grass marks the praying circle once used by the monks when they wanted to meditate. This is a good way of breaking up an expanse of lawn without sacrificing that sense of spaciousness. It is also a feature that is easy to copy in your own garden; all it needs is careful marking out before you mow. A door leads to the vegetable garden, where there is a glasshouse filled with pelargoniums and orchids. A matching glasshouse on the other side of the kitchen garden houses cuttings and seedlings. 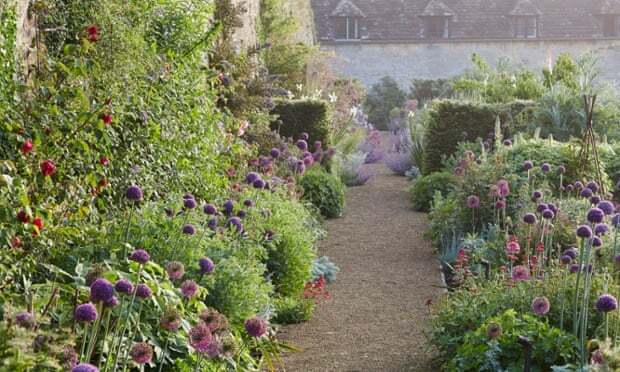 Like many old kitchen gardens, this one is far too big for modern needs, and some of the beds have been given over to ornamental plants or transformed into a cutting garden. One of Keen’s most impressive changes, however, is invisible: it is the lowering of the ground level behind the house to allow a clear view of the woodland and dew ponds to the north-west beyond the gardens – a masterstroke. • This is an edited extract from Secret Gardens Of The Cotswolds, by Victoria Summerley, published by Frances Lincoln at £20. To order a copy for £16, go to bookshop.theguardian.com or call 0330 333 6846. This article was edited on 30 January 2015. It had been launched in error before final edits had been completed.